Emotional intelligence (EQ) at work is about how people and relationships function. Among its many benefits, EQ helps managers and employees alike successfully communicate, resolve conflict and improve workplace productivity. 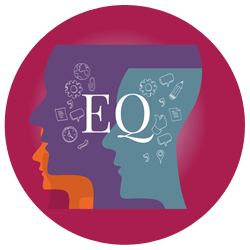 EQ is key to building strong relationships, improving team effectiveness, reducing staff turnover, greater innovation and the overall success of an organisation. This workshop explores the principles of EQ, its importance in the workplace and how you can develop strategies to implement at personal, professional and policy levels. Upon completion of the session, participants will be issued with a Certificate of Completion.